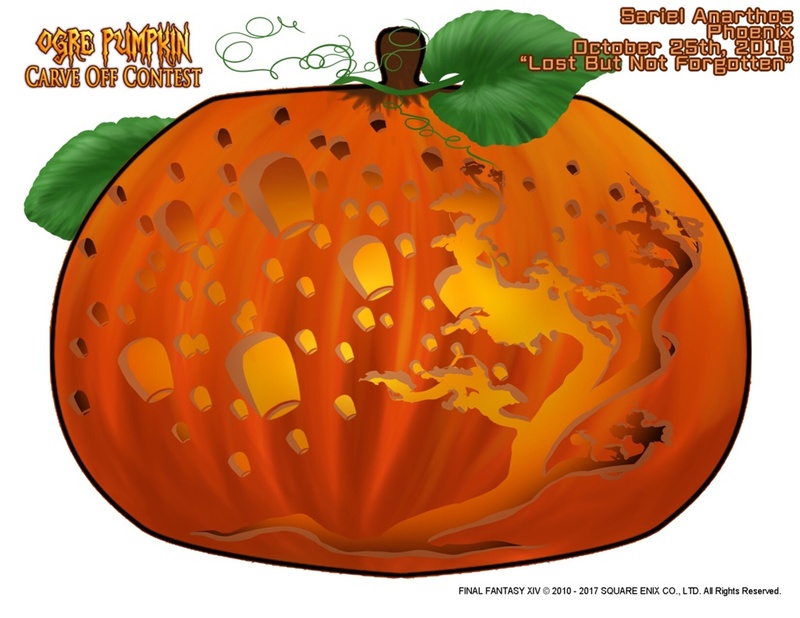 Please post your entries for the drawing category of the Ogre Pumpkin Carve Off Contest in this thread! You can find full contest details here. This thread is for entries only. We ask that you use the Discussion/Practice Thread for entry practice or to discuss about the event. All non-entry posts in this thread will be moderated. Please use the following template when creating your entries. You may download the image by clicking here. Right click on the image and select the option to save the image. Please review and follow this guide to uploading images to the Lodestone and posting the image on the forum. Heeeeeeeere's Moogle, kupo! Drawn with just a mouse since I don't have a tablet. It's not much, but I hope you enjoy it. And have a Happy All Saint's Wake (Halloween) this year! Character: Poe Poe // Edit Got a name change, character is now named Halette Fhey. Last edited by Popito; 10-31-2018 at 12:40 AM. Happy All Saints wake! 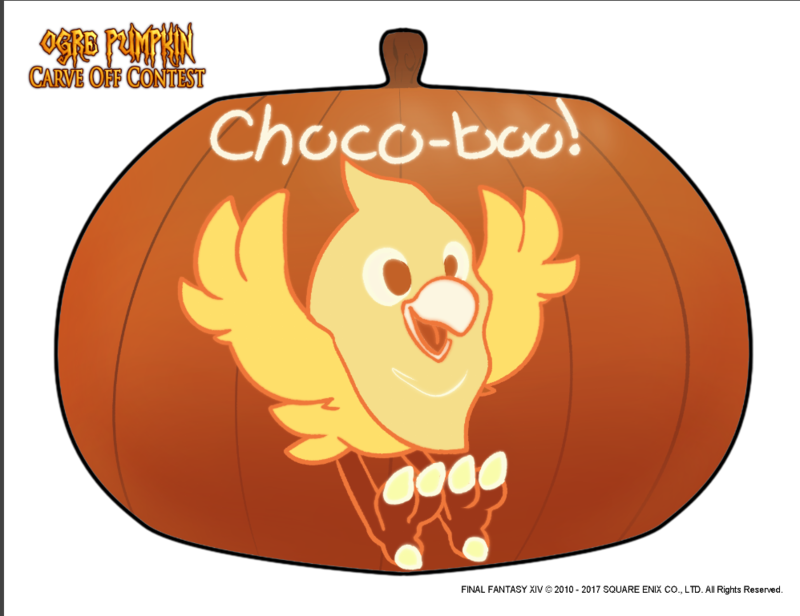 This is an idea to commemorate the past 6 years of this event happening including one version of each of the costumes(for you or your chocobo) and the 4 minion that have been available over the years. 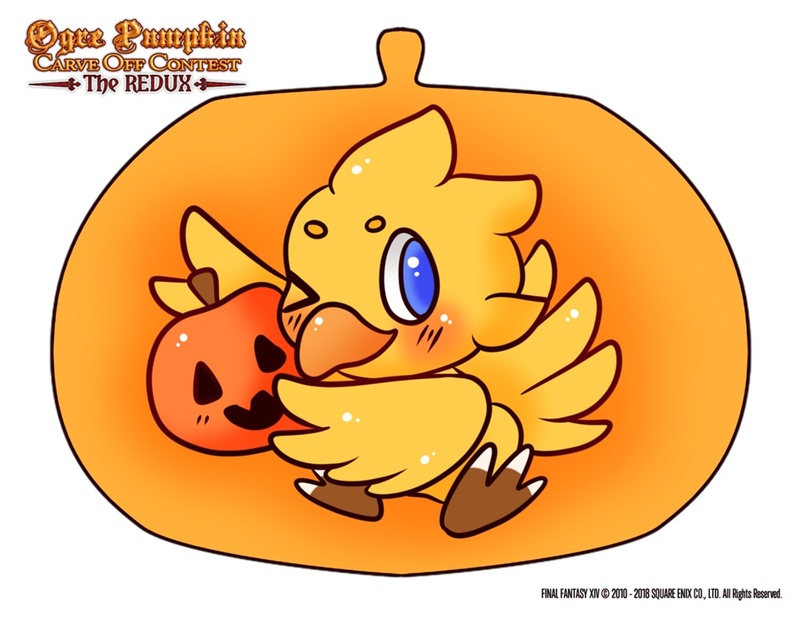 Thank you Square enix for the fun and spooky times. 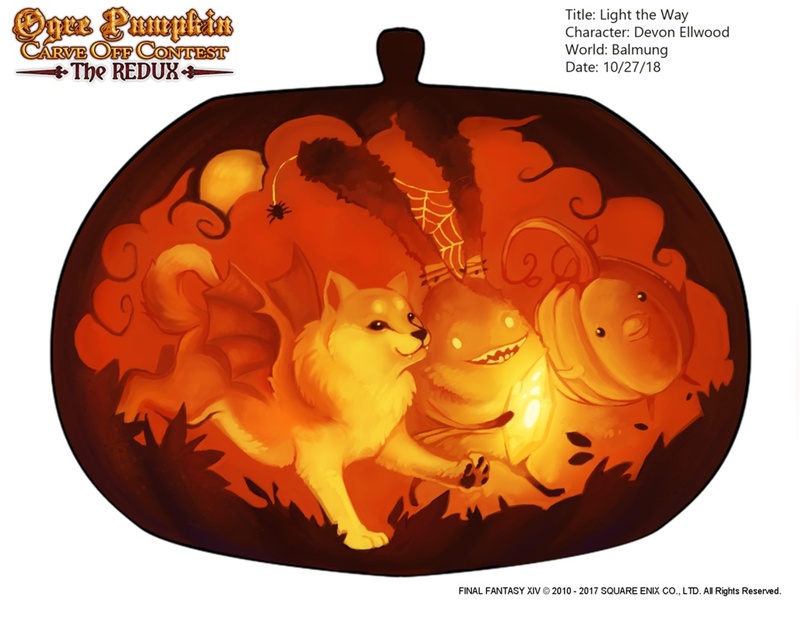 "Alpha is having a blast collecting yummy All Saints Wake treats with some spooky friends." I wanted incorporate this year's theme with the ghosties. Colored pencil and marker on Bristol broad. A drawing of my favorite NPC's ( and new minions ) for this year's All Saints Wake! Here's to hoping everything gets even spoopier. Had a lot of fun decorating my house this year with all the furnishings! 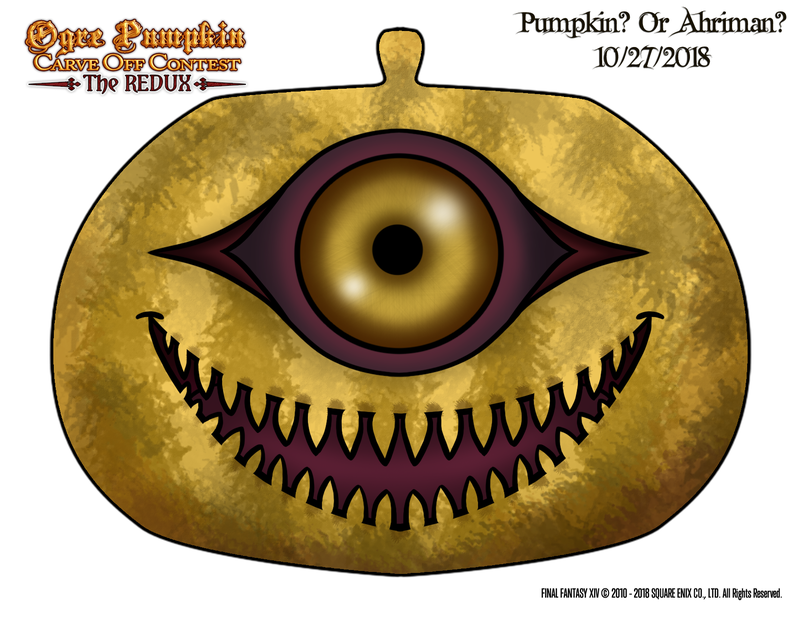 Made some All Saint's Wake themed designs of some popular minions for the pumpkin: Mameshibat, Cobweb Spriggan, Gourdian Korpokkur. 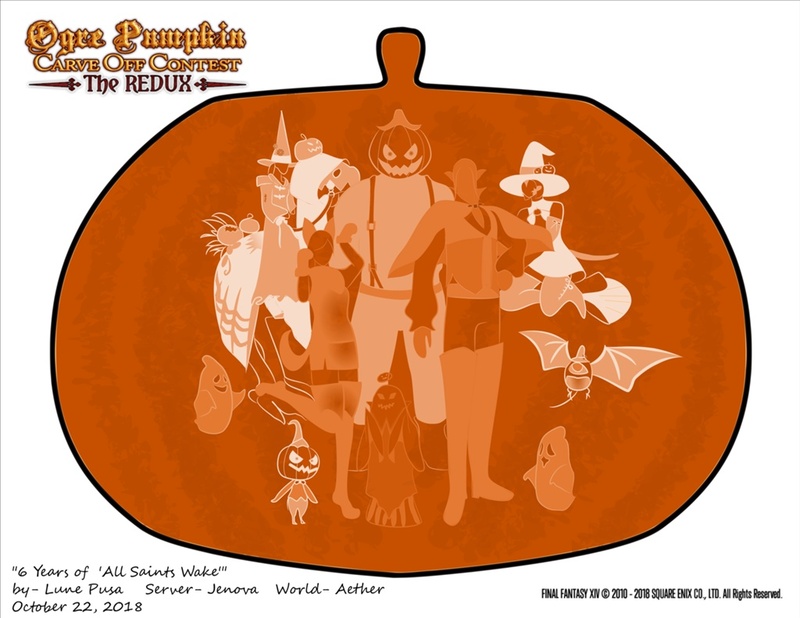 "The 'Circus Apparition' becomes the pumpkin!" Last edited by Dark-Genesys; 10-28-2018 at 11:27 AM. Reason: Image not showing up.